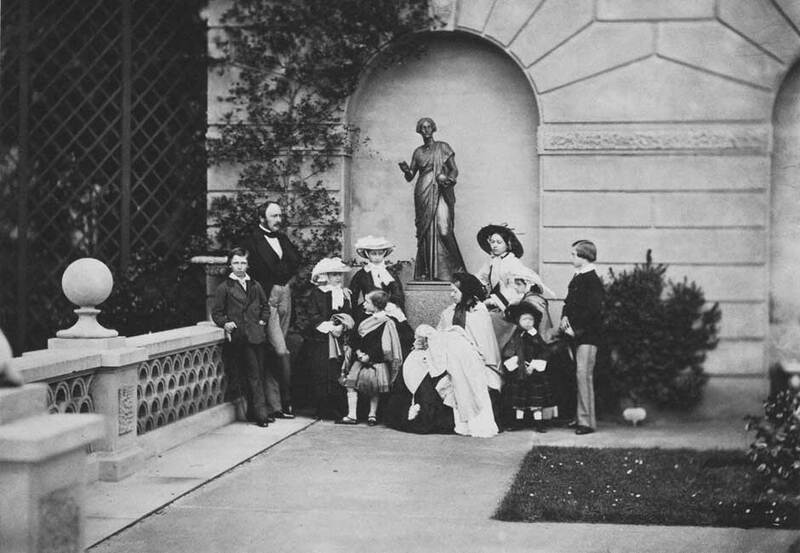 Getty Museum explores Queen Victoria’s lifelong relationship with photography with many images of Queen and her family. 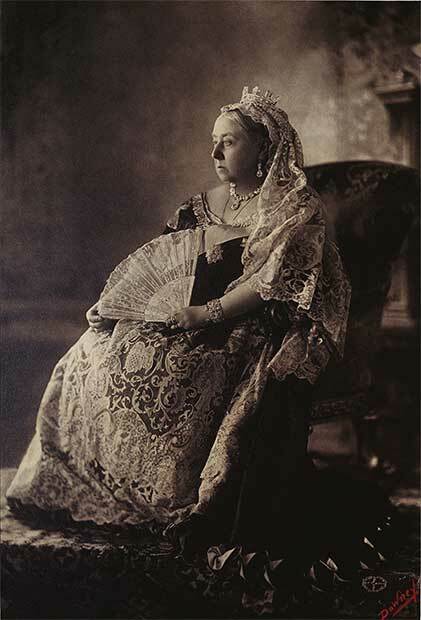 At the J. Paul Getty Museum, Getty Center Los Angeles—Queen Victoria’s devotion to photography will be on display in A Royal Passion: Queen Victoria and Photography, February 4–June 8, 2014 at the J. Paul Getty Museum, Getty Center. With important loans held in the Royal Collection, generously lent by Her Majesty The Queen, shown alongside masterpieces from the Getty Museum, the exhibition displays rare daguerreotypes, private portraits of the royal family, and a selection of prints by early masters such as William Henry Fox Talbot, Roger Fenton, and Julia Margaret Cameron. Queen Victoria, June 30, 1854. Roger Fenton (English, 1819–1869). Hand-colored salted paper print. The J. Paul Getty Museum, Los Angeles. At the age of 18, Queen Victoria (1819–1901) ascended the throne of Great Britain and Ireland and was about to turn 20 when the invention of photography was announced—first in Paris, then in London—at the beginning of 1839. The queen and her husband Prince Albert fully embraced the new medium early on, and by 1842 the royal family was collecting photographs. Through their patronage and support, they contributed to the dialogue on photography and were integral to its rise in popularity. 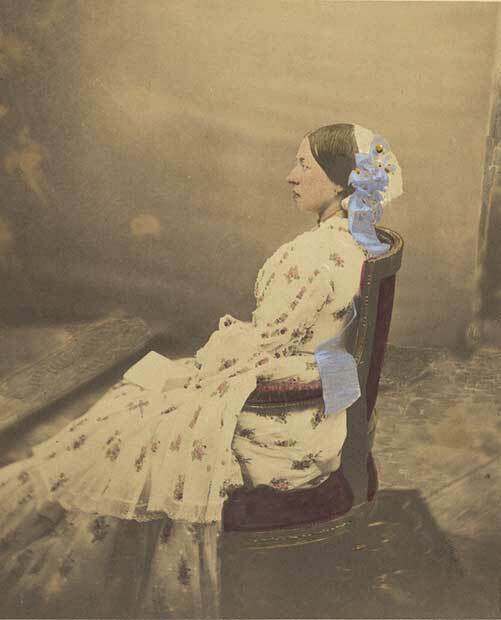 Queen Victoria and Prince Albert took an interest in photography in the 1840s, which is remarkable given its limited application and dissemination at the time. 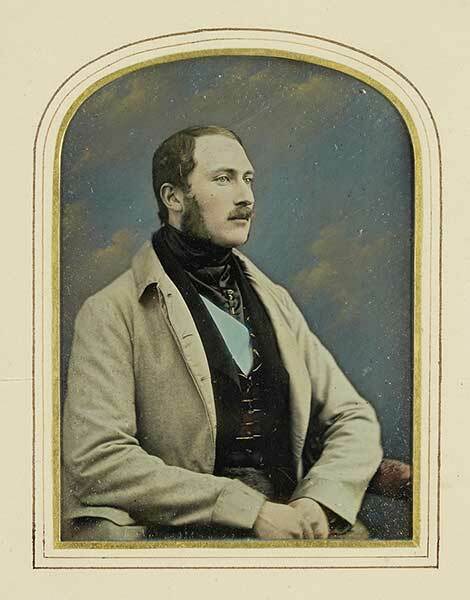 The first royal photographic portrait—of Albert—was made by William Constable in 1842. 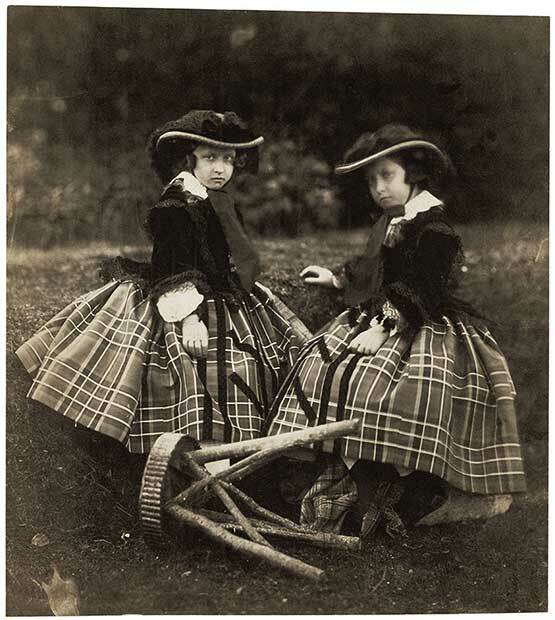 While Victoria enjoyed seeing Albert photographed, she was initially apprehensive about being photographed herself. 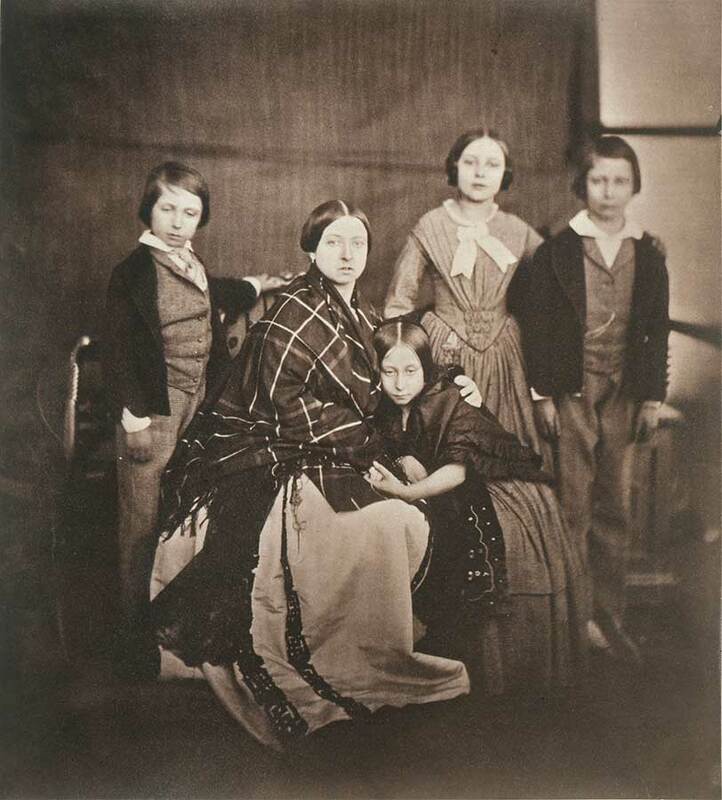 A pair of key images in the exhibition feature Victoria with her children in 1852, sitting for photographer William Edward Kilburn. In the first portrait, the long exposure time created an image in which Victoria’s eyes were closed. 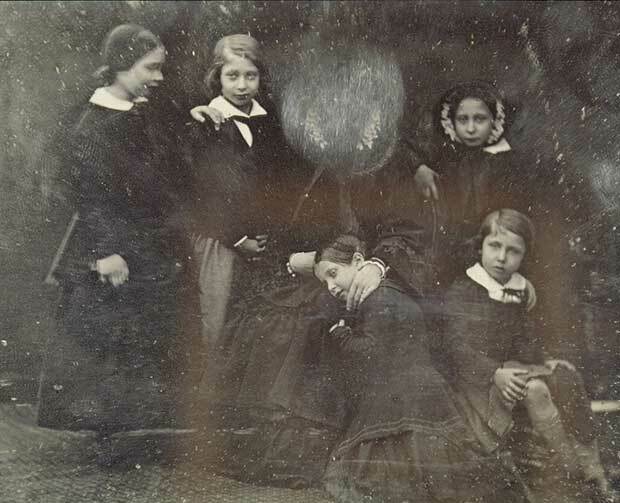 Writing in her diary entry for that day, she described her image as “horrid.” She disliked the portrait so much that she scratched the daguerreotype to remove her face. However two days later the queen repeated the exercise and sat before Kilburn’s camera again, only this time she chose to sit in profile wearing a large brimmed bonnet to hide her face. During her reign, a number of conflicts were also captured on camera, including the Crimean War and Sepoy Rebellion. The camera, although unable to record live battle, was able to record the before and after effects of conflict, and its images revealed both the tedium and horrors of war in these far off lands. Roger Fenton’s Valley of the Shadow of Death (1855) shows a stretch of land that was frequently attacked by the Russian Army, strewn with cannonballs. Formal military portraits, such as William Edward Kilburn’s Portrait of Lt. Robert Horsely Cockerell (1854) took on a memorial quality for families who lost loved ones. As the application of photography developed through the course of the 19th century, so too did the medium itself. Many photographic innovations and experimentations occurred, particularly in the first thirty years. From early daguerreotypes and paper negatives, to the popular carte de visite and stereoscopic photography, the latter a technique that gave photographs the illusion of depth through binocular vision, the exhibition surveys these many innovations and accomplishments. Visitors will be able to look through reproductions of stereoscopic devices in the exhibition. 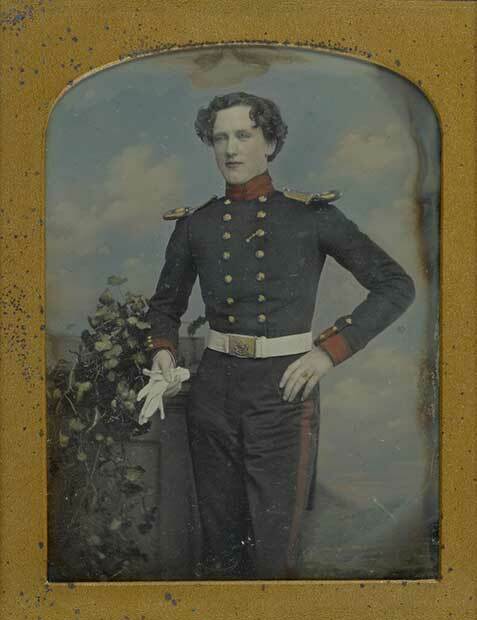 Portrait of Lt. Robert Horsely Cockerell, about 1852–1855. William Edward Kilburn (English, 1818–1891). Handcolored daguerreotype. The J. Paul Getty Museum, Los Angeles. In a rare glimpse of these private photographs, the exhibition includes scenes of young royals at play and images in which the royal family appears informal and almost middle-class in their appearance. In an 1854 portrait by Roger Fenton, the casual attire of the queen is disarming. She is wrapped in a tartan shawl and surrounded by four of her children (she would bear nine children in the span of seventeen years). This is not the image of a bejeweled monarch reigning over her empire, but an intimate view of family life. A pair of scissors and a key visible on the chain on her chatelaine suggests practicality and hints at routine household rituals. Public photographs of the royal family were incredibly popular—the majority of the population would never see a royal in person, and photographs offered a connection to nobility. 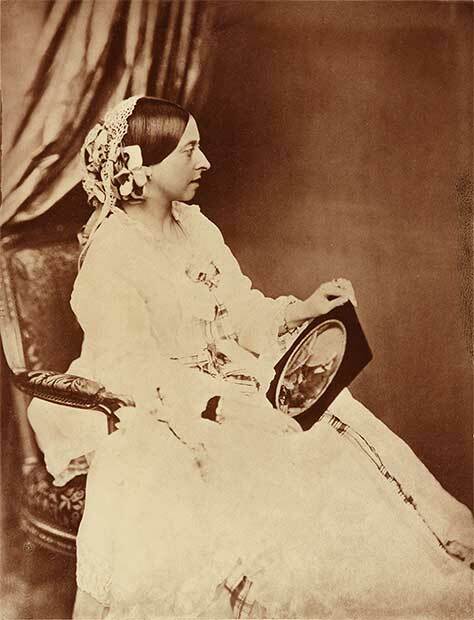 However, it was not until 1860 that such photographs were available to the public, when John Jabez Edwin Mayall made the first photograph of the queen available for purchase. The event coincided with the rise in popularity of cartes de visite, thin paper photographs mounted on a thick paper card, which, given their small size, were popular for trading and were easily transported. Within days of Mayall’s portrait being issued, over 60,000 orders had been placed, as people were eager to have a glimpse into the private life of the sovereign. Interest in the royal family extended to views of their various royal residences, such as Buckingham Palace, Windsor Castle, Balmoral Castle, and Osborne House, which will also be included in the exhibition. 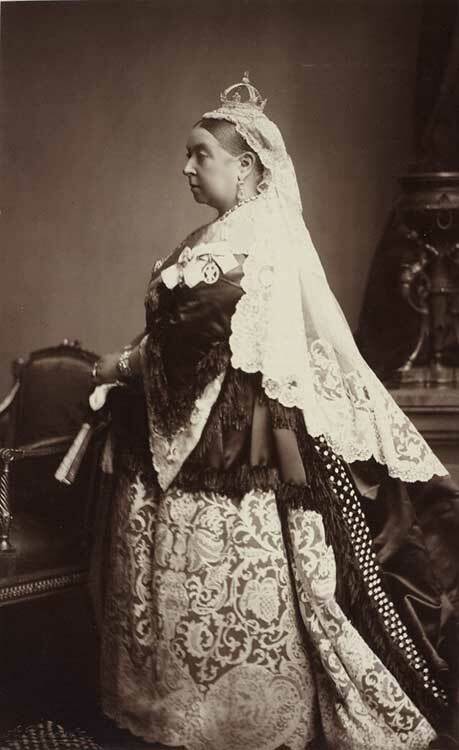 A Royal Passion: Queen Victoria and Photography, is on view February 4–June 8, 2014 at the J. Paul Getty Museum, Getty Center. The exhibition was curated by Anne Lyden, international photography curator at the National Galleries of Scotland and former associate curator of photographs at the J. Paul Getty Museum. 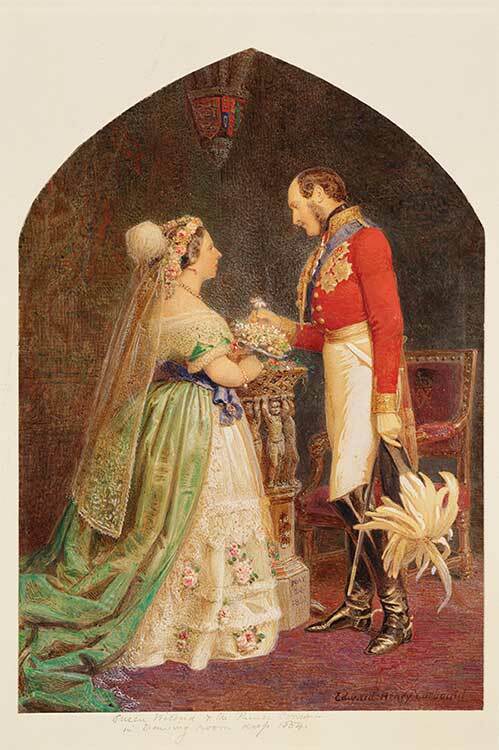 Getty Publications will issue the accompanying book A Royal Passion: Queen Victoria and Photography by Anne Lyden. Concurrently on view in the Center for Photographs is Hiroshi Sugimoto: Past Tense, which includes Sugimoto’s wax figure portrait of Queen Victoria. American painter John Singer Sargent made portraits of artists, writers, actors, and musicians, many of whom were his close friends. 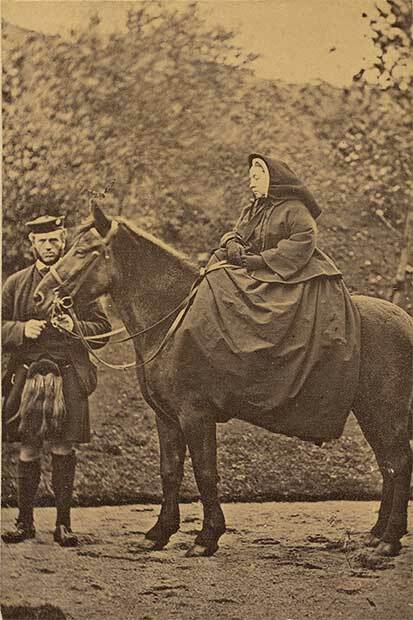 From picnics at Glencoe to tasting haggis for the first time – Queen Victoria's best-selling book of her life in the Highlands. Often very good, occasionally rather impertinent and sometimes very naughty – all descriptions of 12-year-old Queen Victoria. Learn about Victorian Christmas trees at Windsor Castle.